The JNDC Conquered model is truly an extraordinary collection in both sound and purpose. 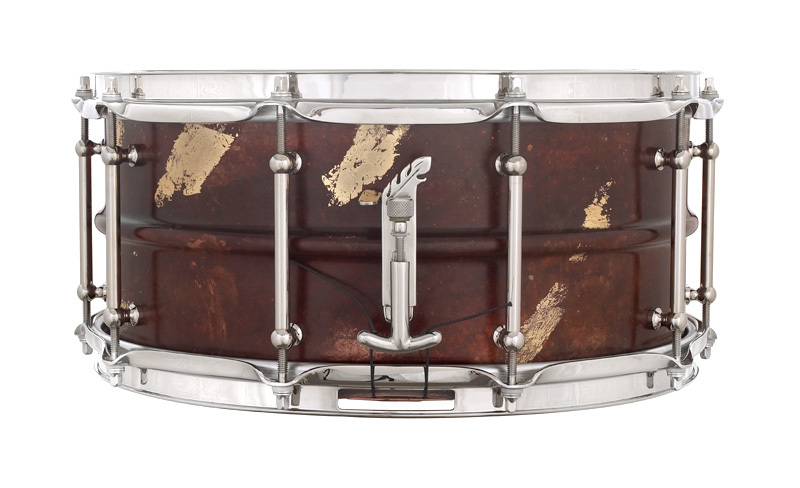 The shell material chosen for this instrument is an exceptional premium grade of copper, which is drawn and spun to form a remarkable seamless shell. As a result, the combination of the seamless design and high-grade copper produces an uncharacteristically vibrant and colorful sound. Most importantly, all proceeds associated with the Conquered are donated to provide relief to children impacted by AIDS and assist in conquering this life threatening disease. Complementing the range of color is an unprecedented power that produces a phenomenal explosiveness, coupled with an extremely crisp and articulate responsiveness. 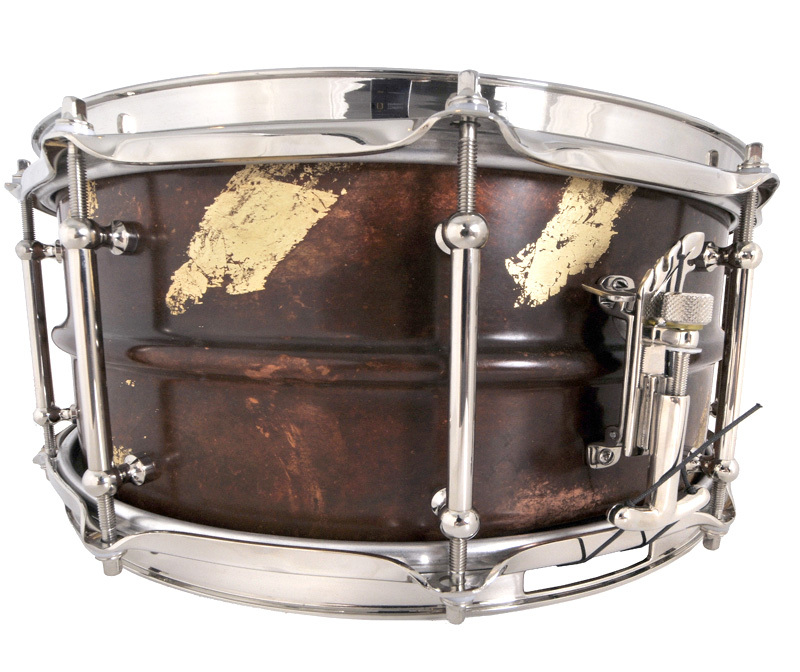 Each shell has the bearing edges and snare beds finished by hand in order to refine and optimize the sonic performance. Then the shells are bright polished in preparation for a unique red iron patina finish, which is accented with 24k gold leaf and heat-sealed in 100% pure Carnauba wax. 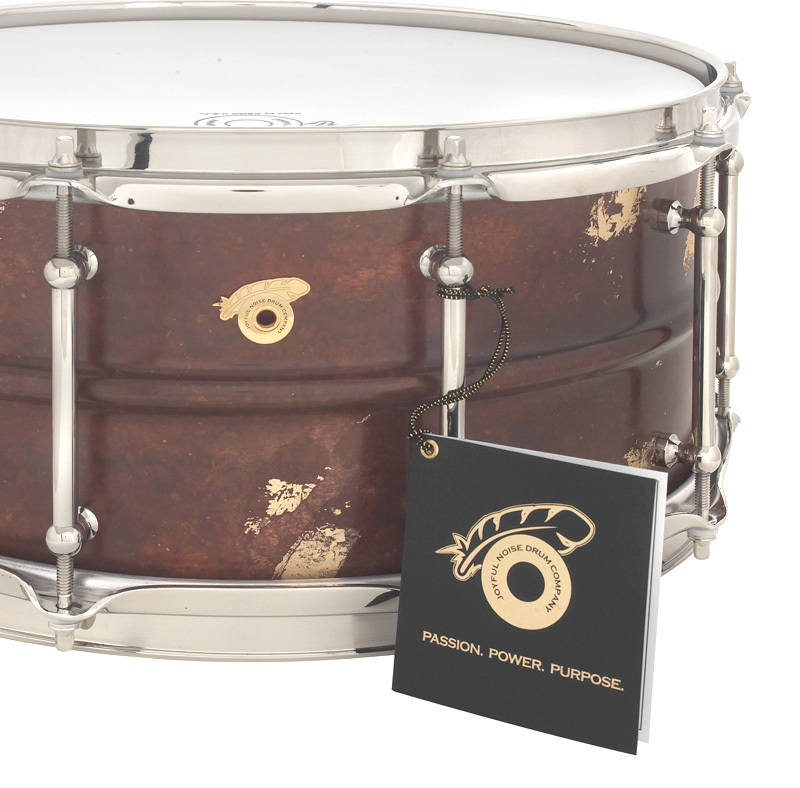 The Conquered model design and hardware consist of 2.5mm solid brass bright nickel-plated triple flanged hoops, ten solid brass bright nickel-plated Corder tube lugs, bell-flanged bearing edges, vintage-inspired crimped snare beds, 24k gold-plated brass JNDC feather motif drum badge, and the bright nickel-plated proprietary cast bronze JNDC “One Touch Classic” snare drum strainer (throw-off) system. A certificate of authenticity, serialized lapel badge, JNDC Strainer Tutorial DVD, and a complimentary soft shell case accompany each instrument. 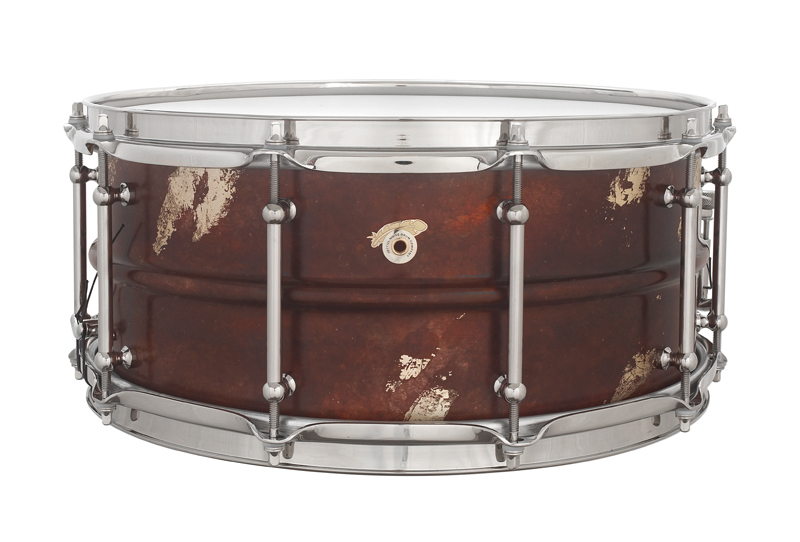 The JNDC Conquered model is available in 6.5x14, 5x14, and 4x14 sizes.